In June of 2012, twenty community members were recruited to be trained as RCLLC apprentices. These twenty, were comprised of former headmasters (4), university students (2) and university graduates (6), current local teachers (4), an umudugudu (village) chief, and other community members who exhibited the skills, abilities, passion, and motivation to embody the mission of the RCLLC. 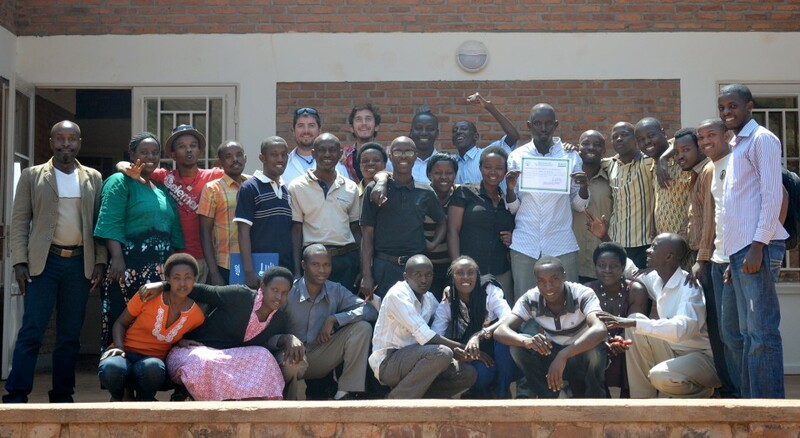 Each received training in library services (book organization, youth read-aloud skills, customer service), adult Kinyarwanda literacy teacher training (following the national curriculum to teach classrooms full of adults literacy and numeracy in their native language), English language training, and ICT skills training. Today, over one year later all twenty apprentices are still working at the RCLLC, a testament to their commitment and the joy empowering their community brings them. They are truly the key to our success, the heart of the RCLLC. With their dedication, hard work and skill sets we have a very bright future, as does the entire Kayonza District.